Hole in the wall fires sit snugly into the wall. Conveniently, they free up room space as they don’t need a fireplace for installation. However, they do need depth in the wall to accommodate the base and a chimney is usually required. Once installed, these fireplaces are astounding because they work exceedingly well in heating up a room quickly. They also look authentic and will appeal to the sophisticated eye. 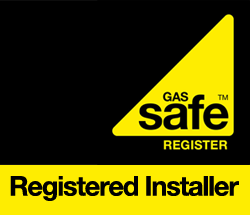 All our installations are carried out by gas safe registered engineers.